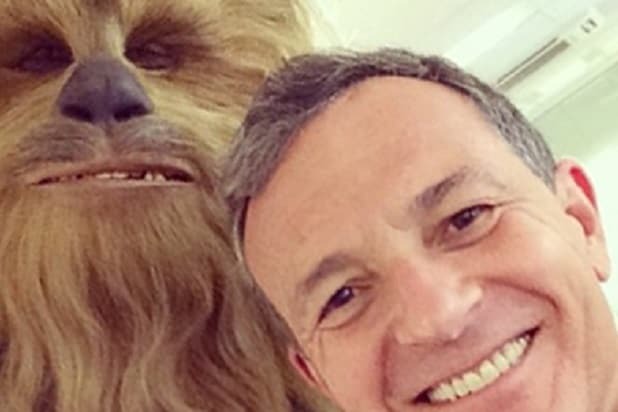 Instragram photo of Disney Chairman and CEO Bog Iger posing with Chewbacca (presumably Peter Mayhew) at Pinewood Studios in London with STAR WARS: EPISODE VII production about to begin this May. © Lucasfilm Ltd. & TM. All Rights Reserved. In an interview with USC Annenberg School of Communication and Journalism Dean Willow Bay — also Iger’s wife — in Santa Monica, he said the still-untitled film, scheduled for release on May 25, 2018, will cover Solo’s life from the ages of 18 to 24 and show him finding the Millennium Falcon, meeting Chewbacca and obtaining his name. Phil Lord and Christopher Miller are directing the movie, which stars Alden Ehrenreich as the title character. 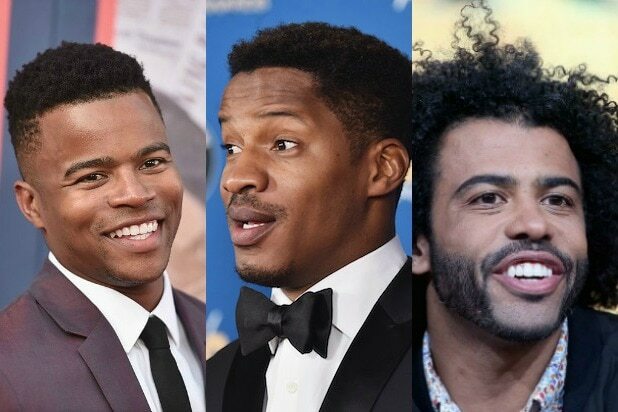 The film also features “Atlanta” star Donald Glover, who plays Lando Calrissian, “Game of Thrones'” Emilia Clarke, “Westworld’s” Thandie Newton, Woody Harrelson, Joonas Suotamo and Phoebe Waller-Bridge. Iger also said that this year’s “Star Wars” film, “The Last Jedi,” will not be changed on account of the death of Carrie Fisher, who played Princess-turned-General Leia Organa in the movie franchise. He added that Mark Hamill, who plays Luke Skywalker, will have a substantial speaking role in the film. Earlier Thursday, Iger agreed to a one-year extension to his contract as Disney’s chairman and CEO, which will extend his term to July 2, 2019.